Selling online in South Korea is an important part in this country’s retailing industry, accounting for 9.8 percent of the retail sales according to data in 2014. This market ranks third largest in the Asia Pacific region, after China and Japan, and ranks seventh in the world. 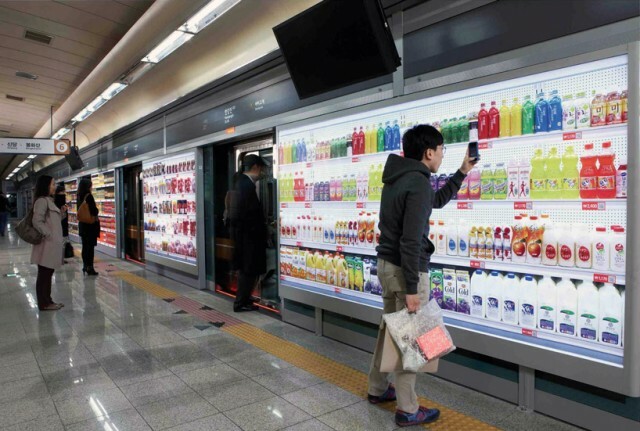 The retail world in South Korea is heavily penetrated by the usage of internet. Among all the retail sales in 2014, 9.8 percent occur via the internet. That compares with 14.4 percent in first-place UK, 12 percent in China, 7.1 percent in the United States. The market of selling online in South Korea is not only large in size, but also rapid in its growth rate. Sales performance online is expected to outgrow those of the total retail sector according to eMarketer’s estimation. In 2014, the total amount of online and mobile transactions in the country, including purchases made directly through overseas shopping malls, came to 46.9 trillion, exceeding the 46.64 trillion for offline retail service, according to data from Statistics Korea and Korea Customs Service. In terms of sales growth, local online shopping malls expanded 17.5 percent on-year in 2014, while major supermarket chains only grew by 3.4 percent, and department stores even recorded a decrease of 1.9 percent. The market of selling online in South Korea is mature in terms of the well-established ecosystem that aids the development of e-commerce. Over 80 percent of population in South Korea are internet users. Also, the internet connection speed is the fastest in the world. What also comes with this high internet penetration rate and fast speed is its affordability. South Korean pay around $38 monthly comparing with the $48 for users in the United States. The popularity of credit card also enables the development of selling online in South Korea. In the second quarter of 2011, credit card was the most used payment method in more than 70 percent of the business-to-consumers cases. Data from Statistics Korea showed that travel-related services were responsible for the largest share of the country’s business-to-consumers sales in 2013, accounting for 16.7 percent. The next most popular categories, were clothes, fashion and related goods (16.3%), household goods, automotive parts and accessories (11.1%), home appliances and telecom equipment (10.6%), food and beverage (8.4%), and computers and computer accessories (8.0%). Without doubt, the strong strengths existing in the South Korean market makes it one of the most ideal country for practicing online retail. Thus, more and more companies will take online selling into consideration in order to comply with the shopping behaviors of consumers.